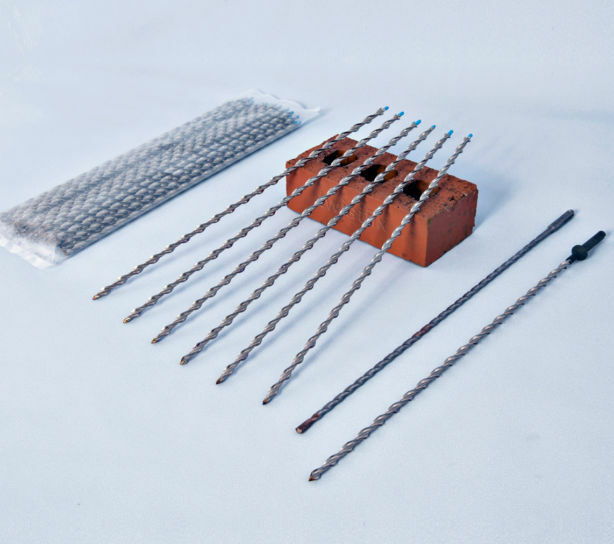 Remedial brick tie kit. 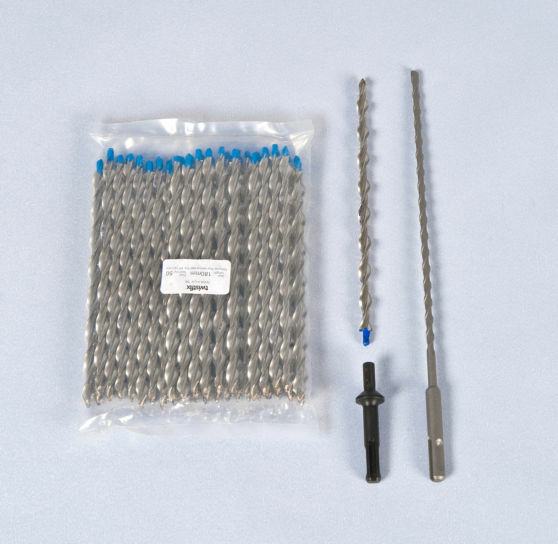 150 self-tapping helical ties, SDS setting tool and 2 SDS carbide drill bits for simple, rapid & cost effective cavity tie replacement. 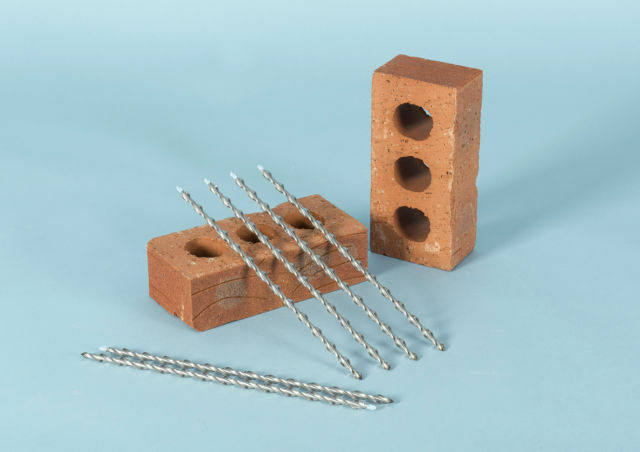 CE Mark Approved in respect of EN845-1: 2013 for use in masonry materials..
Wavy tail brick ties for remedial application when re-building one leaf of a cavity wall. Resin wavy tail into existing brickwork and bed triangle into new masonry as building proceeds. 100 Ties. 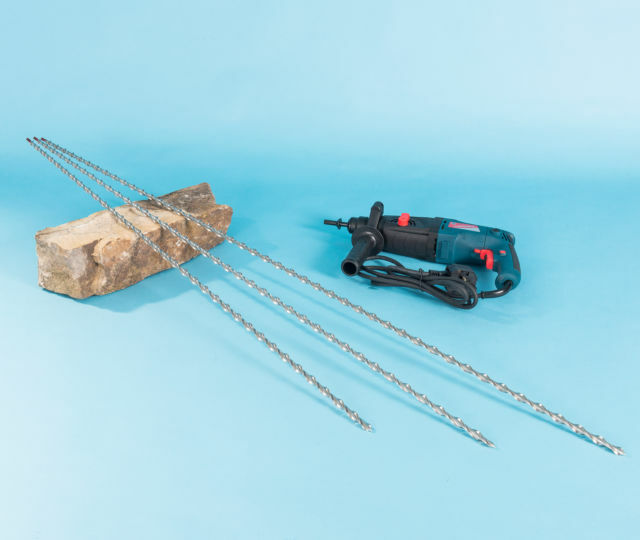 The need for remedial wall ties was established in the early 1980’s, when wall tie failure was discovered as being a widespread problem across the UK. 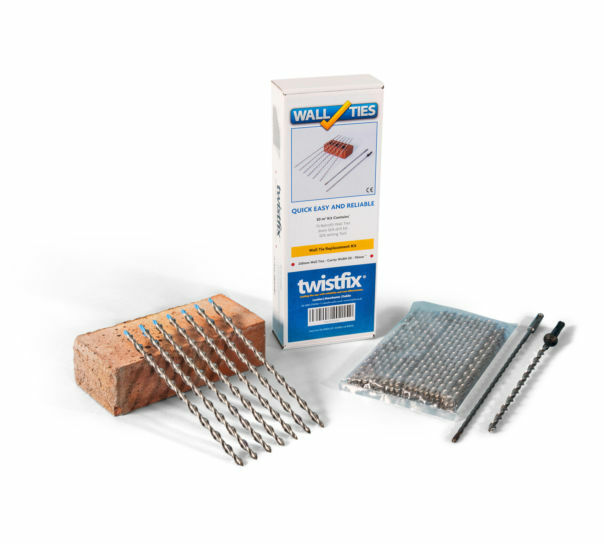 Before then British Standard wall ties were typically manufactured from mild steel and commonly protected by a sacrificial zinc coating. 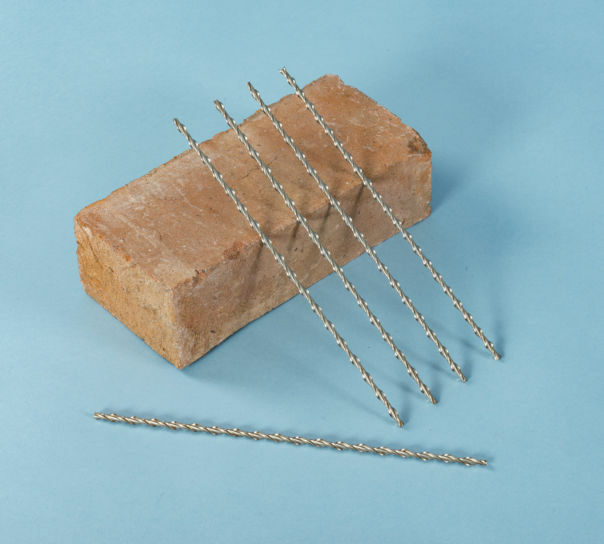 Tie irons were expected to last the lifetime of a building. 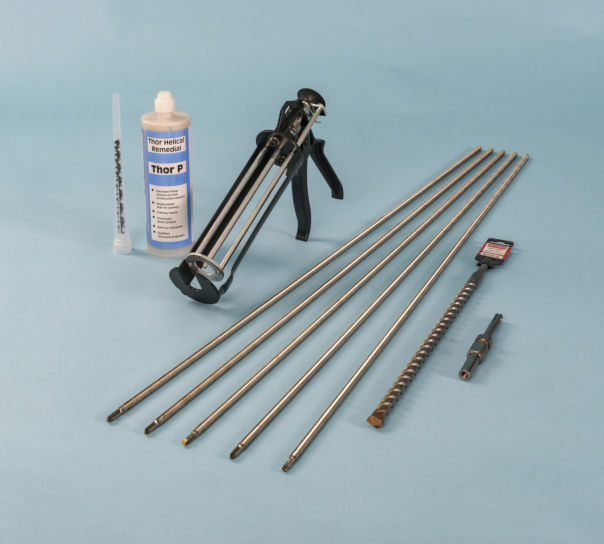 Surprisingly, as it was subsequently discovered, wall tie corrosion could become a major issue in as little as 26 years. 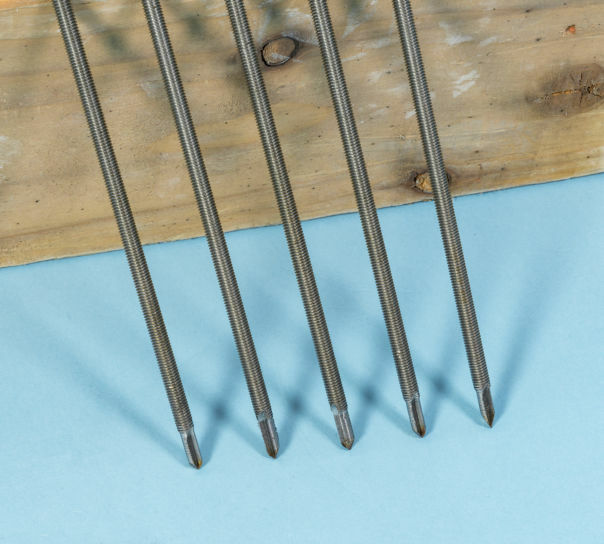 Wire butterfly ties are made from small diameter wires that are twisted into a double loop. 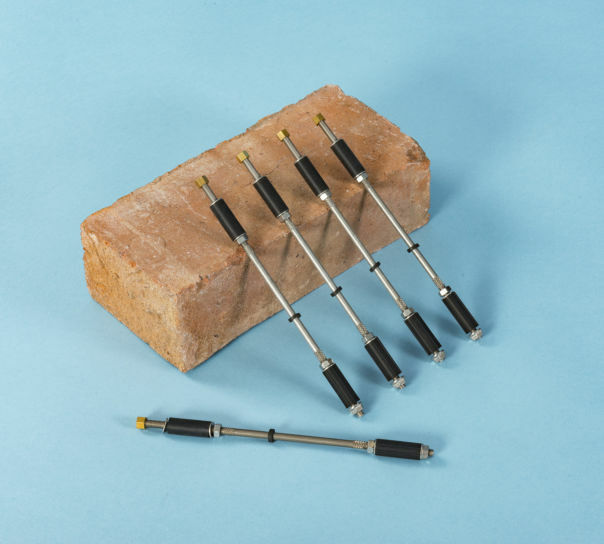 Because they have little mass, when they corrode they generally break up without showing any initial signals that structural defect is present and that the walls are no longer connected. A bow in the wall may be the first sign that tells you all is not well. 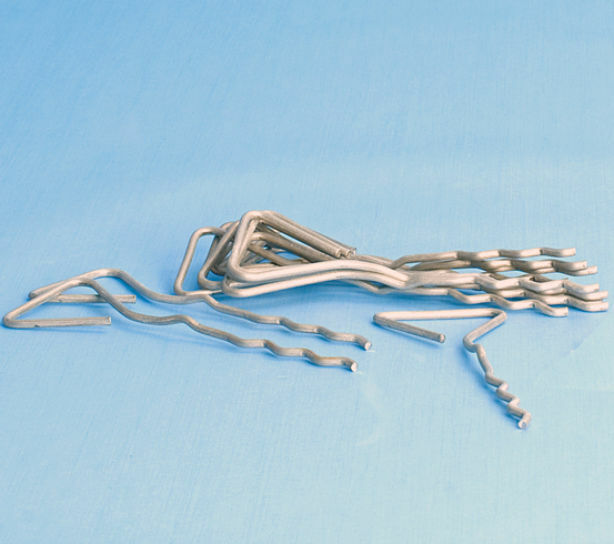 Vertical twist ties are manufactured from heavier flat steel plate, often with a 'fish-tail' end. When they begin to rust they have potential expand to seven times their original thickness. 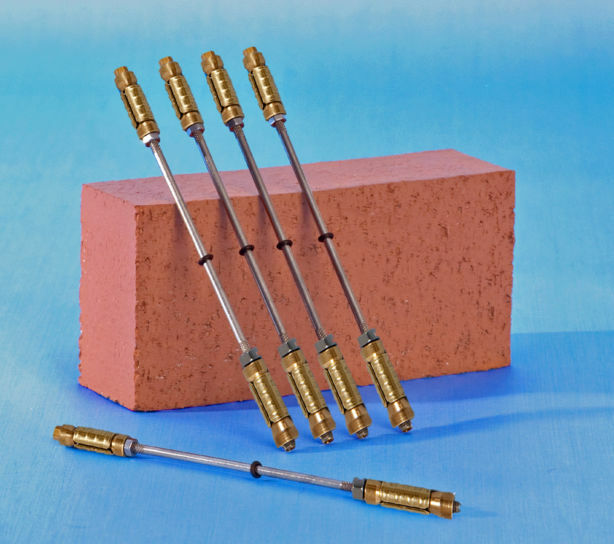 This tremendous expansion force is irresistible and often causes the brick walls to split and crack horizontally along the mortar joints, causing structural damage and affecting stability. 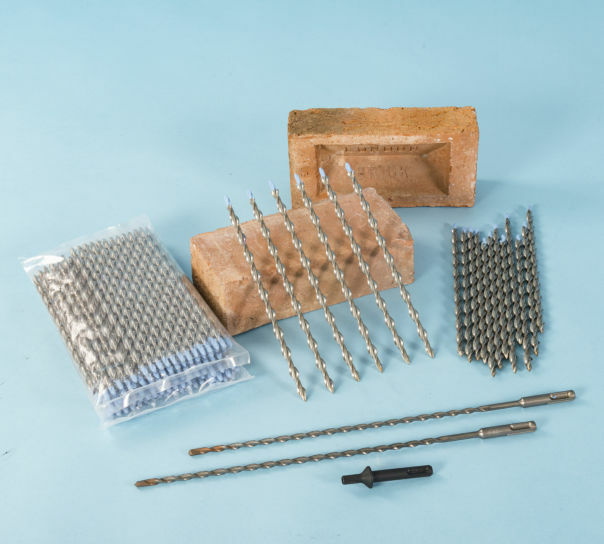 Where an existing wall tie system has failed through corrosion or improper installation then replacement wall ties are a vital part of the remedial solution, strengthening and stabilising vulnerable cavity wall structures.